IITA is eliminating viruses from cassava germplasm so it can safely be transported from East Africa to Nigeria. Morag Ferguson is thrilled with the results of a recent genotyping study. It seems that the cassava landraces she has been working on from South, East and Central Africa are pretty unique. The genetic diversity maps show this specific group of landraces branching off clearly in isolation from the cassava found elsewhere in Africa, or the world for that matter. 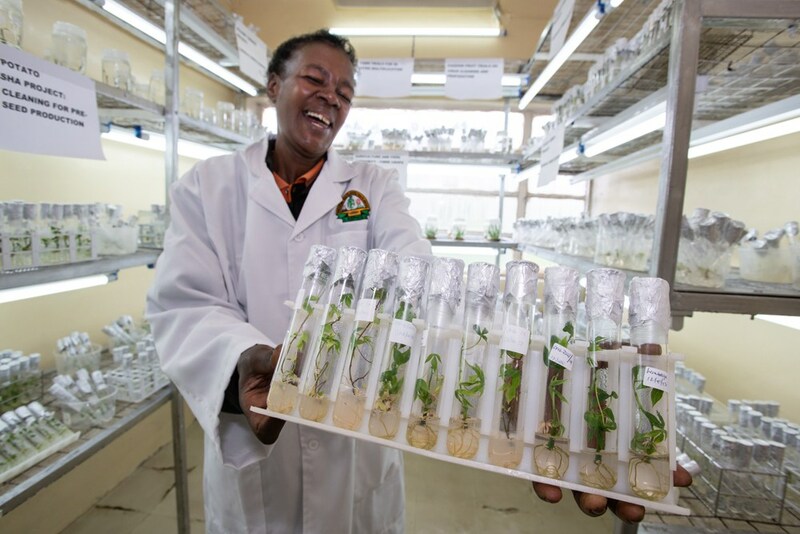 Morag, a molecular geneticist based at the International Institute of Tropical Agriculture’s (IITA) Nairobi office, recognizes the potential value of such unique diversity to breeding. It makes sense to conserve the landraces at IITA’s Genetic Resources Centre in Ibadan, Nigeria. But transporting that cassava germplasm from the east to west of Africa presents a major hurdle because of a devastating disease found in East African cassava. 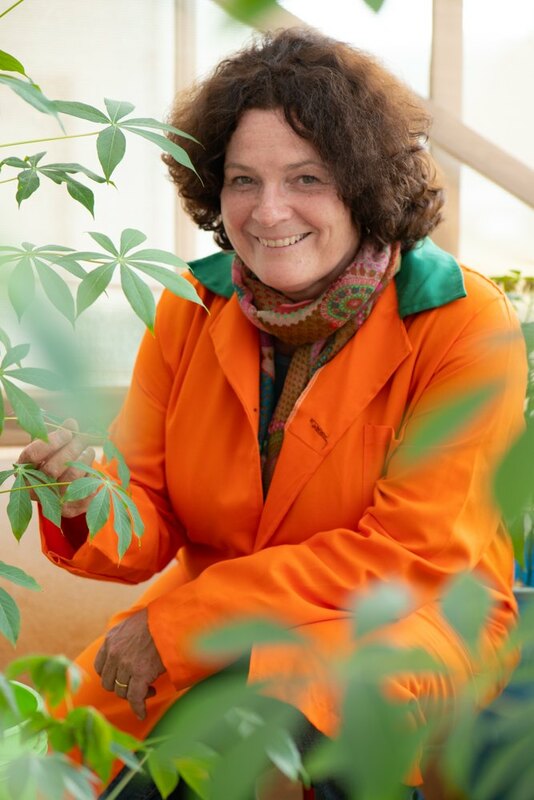 “Cassava is the most important food staple in sub-Saharan Africa,” says Morag, a cassava specialist who has been working with IITA since 2003. “It’s been described as a ‘classic food security crop’ because it offers a modest, but secure, harvest even in times of erratic rainfall when other crops fail, and it can grow on infertile soils.” It also has substantial income generation potential. Cassava copes fairly well with climate change, compared to other crops. It is inherently drought and heat tolerant and, surprisingly, responds positively to increased carbon dioxide levels. However, climate change is not the only threat crops face these days: yields can be reduced strongly since the majority of cassava landraces are not resistant to some important pests and diseases. In East Africa, for example, cassava brown streak disease (CBSD) can lead to a brown necrosis which makes the edible roots unmarketable. The disease is caused by at least two viruses and can lead to complete spoilage of the cassava harvest or significant reductions in quality. “CBSD had been confined to coastal regions of southern and eastern Africa until around 2004,” Morag says. “Then it spread rapidly throughout eastern Africa and into central Africa. Our fear now is that it will spread more in Central Africa and to West Africa.” CBSD is now considered one of the top seven biological threats to global food security. Controlling CBSD is a priority for agricultural scientists in Africa, who are hoping a solution could be found in farmers’ fields. Cassava genetic diversity has been lost in the past. Most landraces in Madagascar were lost during a severe attack of cassava mosaic disease between 1934 and 1936. Farmers lost most of their landraces in Uganda after a similar epidemic struck in the 1990s. In 2016, the Genebank CGIAR Research Program led by the Crop Trust funded a small project to support IITA’s collaboration with the Tanzanian Agriculture Research Institute (TARI) to collect cassava landraces in Tanzania for conservation and use, under the SMTA (Standard Material Transfer Agreement) of the International Treaty. Other germplasm collecting missions have taken place in Rwanda and Burundi, and to some extent in Uganda. So far, these collected materials have been kept in the field, where they remain vulnerable to diseases and expensive to maintain. 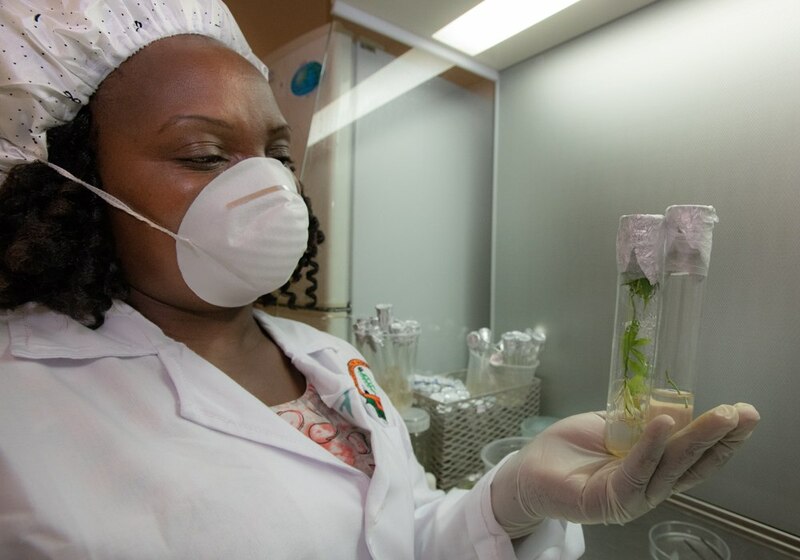 Ideally, they should be put in long-term conservation at IITA’s genebank in Nigeria and made available worldwide. But the majority of the collected landraces are infected with at least one virus. To conduct the virus elimination work, Morag has partnered with the Kenya Plant Health Inspectorate Service (KEPHIS). KEPHIS is the national quarantine agency of Kenya and the regional quarantine station for East Africa. They have the facilities and expertise in virus elimination and also provide necessary phytosanitary certificates required for further transfer/distribution of germplasm to other countries. IITA has a protocol for the establishment of virus-free cassava. “It all starts in a conviron, or rather a growth chamber,” says Morag. 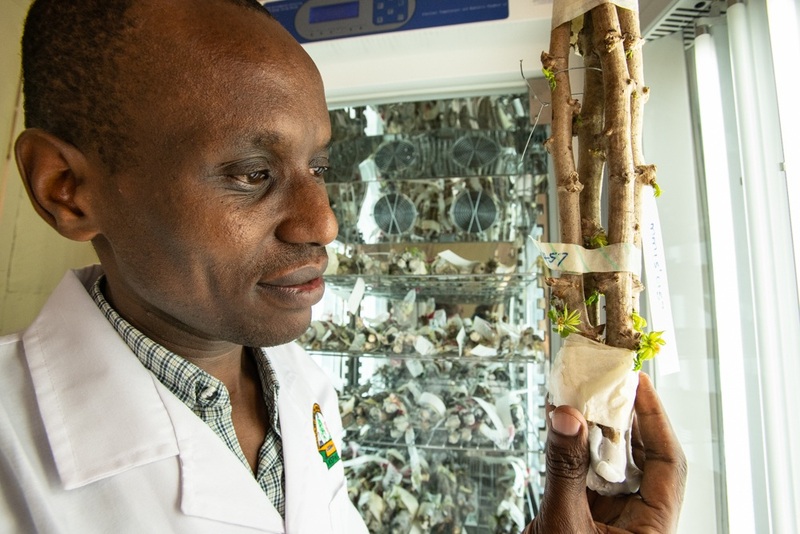 “We place cassava stakes in the chambers under very high heat, around 38°C for four to six weeks and wait till they sprout.” The sustained high heat slows the virus spread in the cassava tissue. “We can then excise from the stake what we hope will be a clean part of the tissue at the growing point or meristem. That takes a lot of skill and experience but our partners at KEPHIS have mastered the techniques,” says Morag. 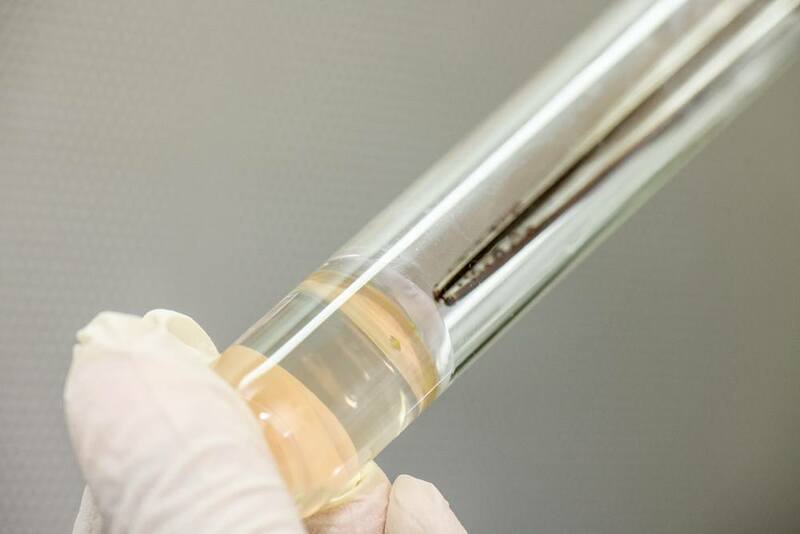 The excised meristem tip is then established in tissue culture. 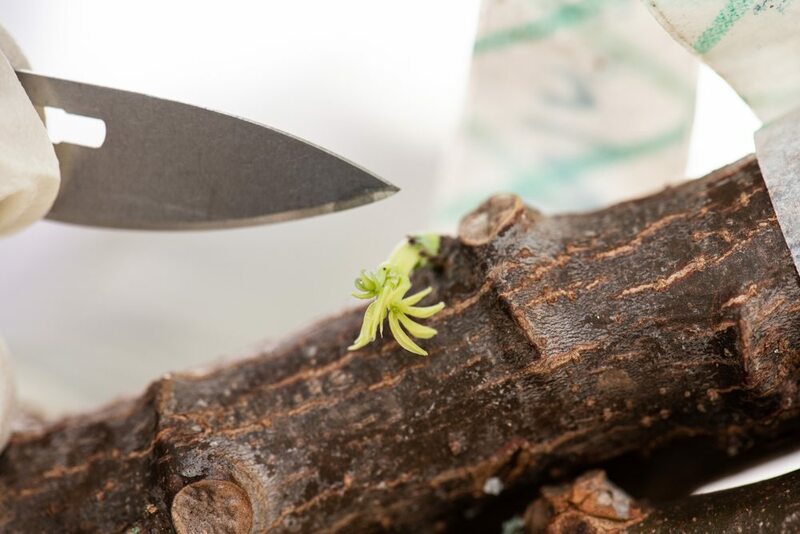 Once Morag’s team does establish the cuttings in culture, they multiply and harden them, which can take up to five months. 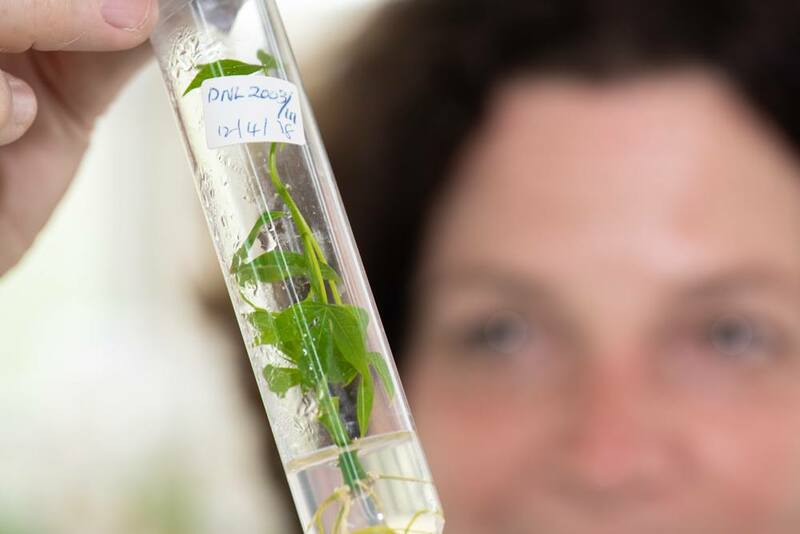 “Finally, we run virus diagnostics to determine if the plantlet is virus free,” Morag confirms. “If the virus is still there, we run the whole cycle over again.” With an estimated total time of one cycle at six months, that’s a whole lot of time. But it will be worth it in the long run. Morag and her IITA colleagues are hoping that they will plug this gap in the cassava collection at IITA and that these unique landraces will have a long-term home in Nigeria, from where they can be distributed in a clean and healthy state to anyone who needs them. 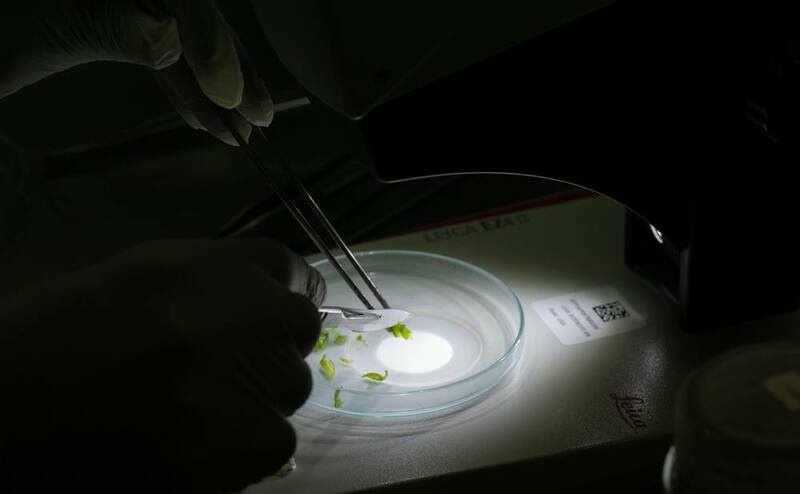 It represents one of the many contributions that the CGIAR Genebank Platform, which succeeded from the Genebanks CRP, is making towards meeting Sustainable Development Goal Target 2.5 on maintaining genetic diversity. It’s the crop that feeds much of sub-Saharan Africa and Morag and her colleagues at IITA and KEPHIS are working to ensure that farmers have the best opportunities to grow strong and resilient cassava that has those familiar characteristics that cassava consumers in the region know and love.